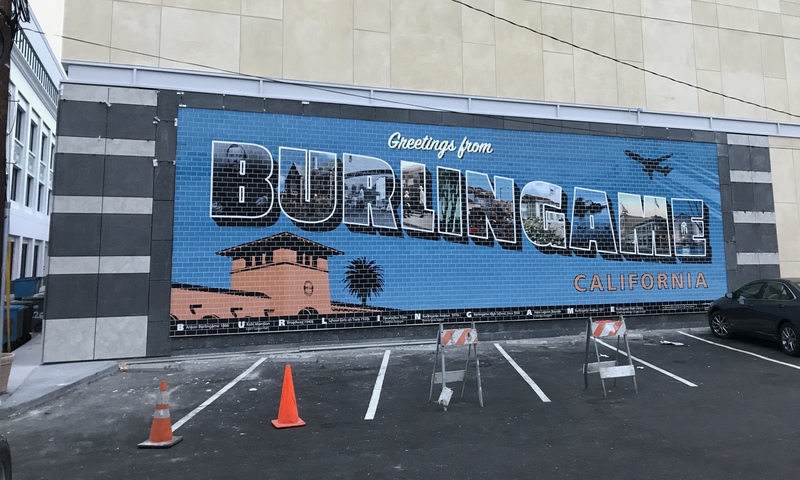 Make sure to walk through Hatch’s Alley (aka Hatch Lane) to check out the huge tiled artwork created by the Burlingame Historical Society and its talented volunteers. 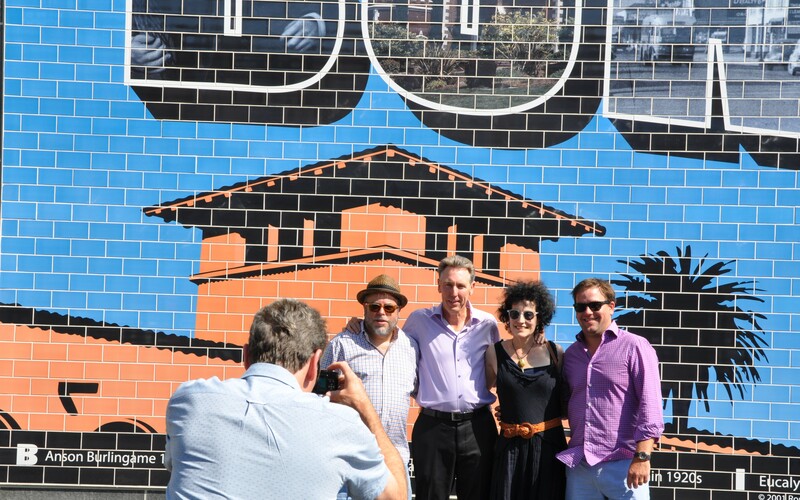 The project was generously funded by Dewey Land Co. Envisioned since 2015, the exquisite tile work was completed a few days ago and reflects the history of this proud community. Pose & Post your photos on Instagram #greetingsfromburlingame. Shown below in detail by Kathy Schmidt: l. Russ Cohen, Don Donoughe-mural designer, Jennifer Pfaff, and Ryan Guibara, Dewey Land Co.,- funding.